Flying training to the balance remaining of the initial $2000. The scholarship is likely to enable the holder to achieve solo flight provided the holder is prepared to put in the necessary effort. Flying a glider is not difficult but it does require an appropriate level of commitment and maturity as the consequences of a lack of attention when flying solo are obvious. Several previous scholarship holders have achieved solo flight within their scholarship funds. The gliders are certified for a maximum passenger weight of 110kg. This cannot be exceeded, even by 1kg. There is also a minimum weight but we have extra ballast weights to make up the difference as long as you weigh at least 55kg. Other than weight, if you can fit comfortably into the glider you can fly in it. When you join GFA and each year when you renew your membership you will be asked to sign a declaration of fitness. If you are not able to sign the declaration because of a medical condition your GP is able sign it provided the GP can certify that you meet the requirements for issue of a private drivers licence. 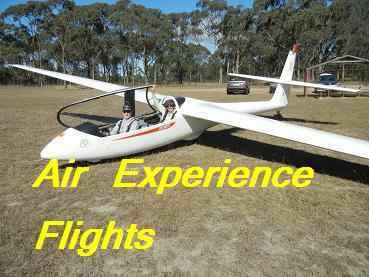 You are not permitted to fly a glider solo in Australia until you are at least 15 years of age. You may start training at any age but in practice, you should proably wait until you are close to 15. If you are considering applying you are very welcome to visit the club, have a look around, talk to some of the members and watch the operations in progress. We encourage applications at any time however we plan to conduct selections and award scholarships three times each year near the beginning of March, July and November and we may award two scholarships on each occasion. All applicants whose applications have been received before the beginning of each of those months will be contacted and invited to attend the club to take part in the selection process. The selection process and conditions are described in the Scholarship application form. Note that if you are under the age of 18 years at the date of the selection you must be accompanied by a parent or guardian as there is a Gliding Federation form that must be completed on the day that you are to fly. This form requires your parent's or guardian's signature. To apply, please print the form, complete it and deliver it to the club. If you would like to publish details of the scholarship around your organisation please download this poster. We will consider applications from applicants who are not yet 15 years old but who are close to it. 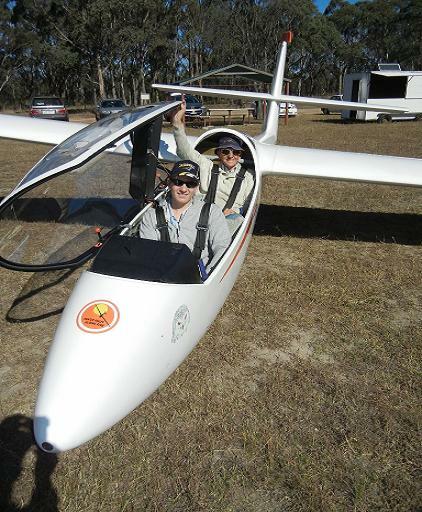 You are not permitted to fly a glider solo in Australia until you are 15 years old.